Antonio Conte’s time at Chelsea may be up just months after guiding them to the Premier League title. The Italian’s relationship with the board has become increasingly strained over the summer amid tensions over transfers. Despite the Blues’ dramatic win over Tottenham on Sunday, there are also concerns regarding how they will perform this season after their shock 3-2 defeat to Burnley on the opening weekend. German publication Bild suggest Chelsea have already sounded out former Borussia Dortmund manager Thomas Tuchel about replacing Conte. The 43-year-old enjoyed mixed fortunes in the Bundesliga, only winning one trophy – last season’s German Cup. Tuchel is thought to be keen to move to London. 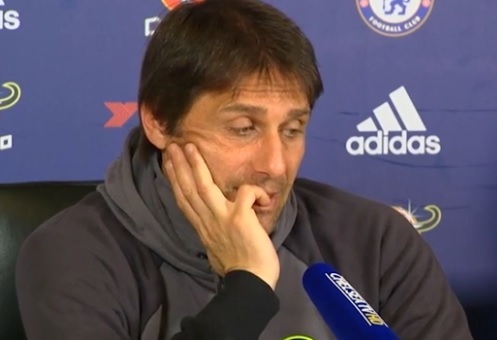 Roman Abramovich has a short fuse with Conte, especially due to the ex-Juventus boss’ continued complaints about lack of investment in the team. Abramovich has already broken a club record with the purchase of Alvaro Morata from Real Madrid, while Antonio Rudiger and Tiemoue Bakayoko have also arrived at Stamford Bridge.